Let’s talk about the movies coming out this fall. One of the coolest things about the season is that director Barry Jenkins (Moonlight) and director Damian Chazelle (La La Land) both have a movie coming out. That means this Oscar season just might be a rematch between them. And then there will be the experimental situations that are interesting to watch and see what happens. Venom and Aquaman in the superhero realm and Bad Times At The El Royale. That later movie is the Drew Goddard follow-up to Cabin In The Woods. It’s been six years since he had that breakout smash, and now we finally get to see how he follows it. And with the superhero films, neither Venom nor Aquaman is a sure thing, (the name Marvel is not on the table with these.) With Aquaman in particular, the studio really needs a hit (DC films, not Warner Brothers.) After Batman Vs Superman and Justice League both underperformed, this is the first solo movie by the studio since Man of Steel (the movie that began the DCEU. DC Extended Universe.) They say it’s like a phase one Marvel movie, (meaning it only features one hero.) Let’s hope so. Director James Waan was certainly a good choice to make the movie, but this one is going to be so CG heavy that we’ll just have to see how it goes. There hasn’t been very much good buzz on this one, with the somewhat lousy trailers, but even still. It’s Tom Hardy and Michele Williams and Riz Ahmed. A better cast you cannot get. These are stellar actors bringing to life the story of one of the coolest comic book villains imaginable. Unfortunately the bad news is that the director is Ruben Fletcher, who hasn’t made a good movie since Zombieland. Other movies he has made include Gangster Squad and 30 Minutes Or Less. Hopefully this one gets the director back on his feet, and does well enough that Marvel wants to connect it to their MCU. Apparently the Venom movie dropped its R rating in favor of a PG 13 rating, hoping Marvel will embrace it and connect it to their films. First we’ll have to see if the movie is any good. Damian Chazelle! Yes!!! This director is so good, with his two movies that were both tremendous accomplishments. Whiplash was a masterpiece. And La La Land might be even better. Both movies used music and choreography brilliantly. And that might be the problem with First Man. This is Chazelle’s first movie that is not about music. But it does have Ryan Gosling, (who worked so perfectly with Chazelle in La La Land,) and it does look interesting and artistic. Definitely worth checking out. Drew Goddard. His Cabin In The Woods follow-up. It’s about time. With one movie under his belt, there’s no telling if he’s as good as we’re all hoping, but that film was a hell of a debut. And based on both that movie and the trailers for this one, it looks like Goddard is a fun schlocky, all-out action / nerdgasm director, the likes of which we’ve seen with guys like Quentin Tarantino and Robert Rodriguez. It helps that Goddard comes form the same vein as Joss Whedon and is as much a fanboy of comics as anyone (they wrote Cabin in the Woods together, and then Goddard did work on the Daredevil Netflix show.) This movie has an all-star cast (including Jeff Bridges, John Hamm, and Chris Hemsworth, reteaming with his Cabin director. Should be a fun time at the El Royale! The Queen story. We’ve heard rumors about them making this movie for about a decade now. 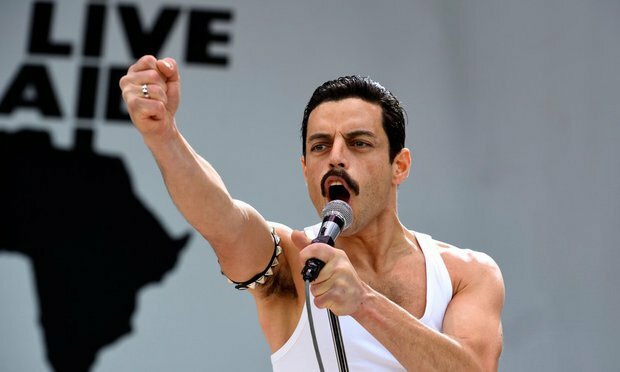 Sasha Baron Cohen was supposed to play the lead. Now it’s Rami Malik from Mr. Robot, and he’s a fine actor to fit the part. Especially when you see how much he looks and acts like Freddy Mercury. There are the behind the scenes stories own this one (director Bryan Singer was fired, in the time of allegations, and this just might end up being his last movie.) But at least it’s uncertain if this is even considered a Bryan Singer movie anymore. Either way, it looks great and should be entertaining. If the first Wreck It Ralph film is any bar to judge our anticipation for this one, then the sky is the limit. That first movie did it all. It explored the world of video games while telling a lively, funny, and exciting story. It was incredibly creative and symbolic and smart. Let’s hope this follow-up is the same. John C. Reiley and Sarah Silverman both seem made for the parts they are playing in this series, so that definitely helps! The good news is Stallone is back. That’s not a given, much as it sounds like it should be, because this is not a Rocky movie. 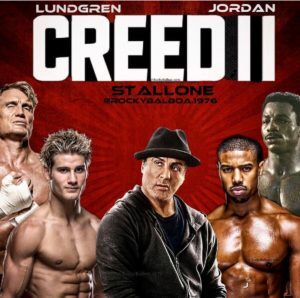 It’s a spinoff about Apollo Creed’s son, Adonis Creed. And it’s got the same cast from the first Creed movie, including both Tessa Thompson and of course, Michael B. Jordan. Stallone was nominated for a best supporting actor Oscar for the first Creed movie. So all good signs, right? 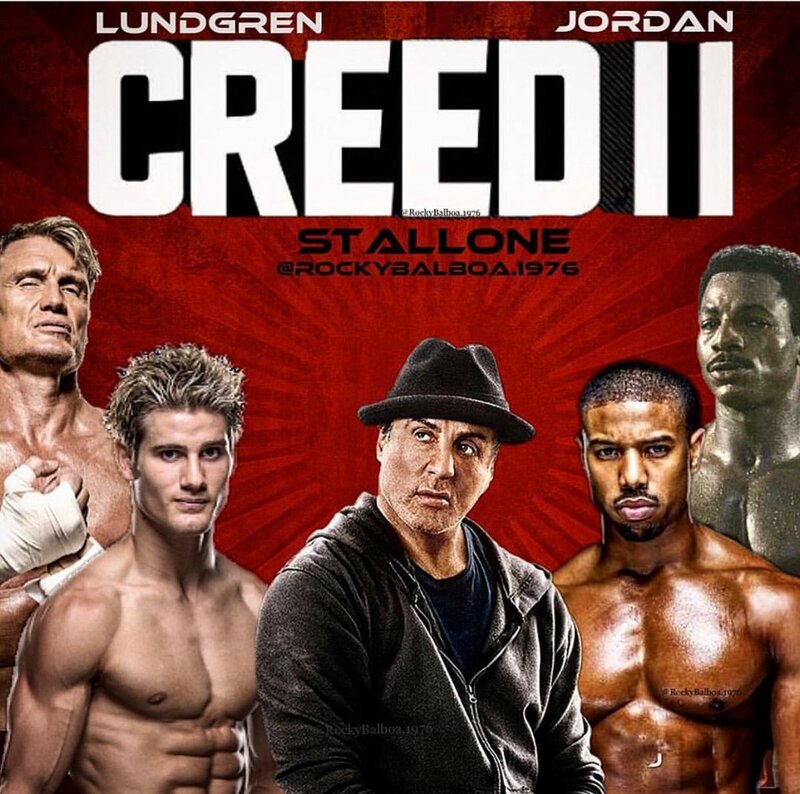 And to make it better, this is the story of Creed facing off against Ivan Drago’s son, (Drago, played by Dolph Lundreon, is the man who killed Apollo.) And Lundreon is back in the role of Ivan Drago. So what’s the downside? That director Ryan Coogler is not back. Well have to see how this next director does, taking the reigns. It’s James Waan. That’s the good thing. Waan is a smart and accomplished director. And Aquaman seems like a fun character. On top of that, with DC movies, it’s just nice to finally see a standalone film about only one superhero. But now for the bad… this one looks like way too much CGI. I mean, we’re talking about everything. Most DC movies have been extremely CG heavy lately (Justice League,) but with this one, it’s not just the enemies and action, it’s the whole world around them. If the story is good, it could still be fun. So we’ll just have to see.